Videos and Scripts of performances and interviews from San Quentin State Prison, Solano State Prison, and the Returned Citizens Theatre Troupe. 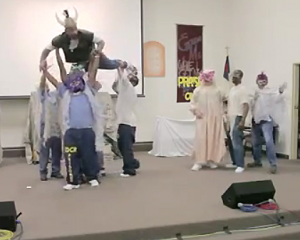 Shakespeare in Prison – Al Jazera USA’s 2.5 minute video that has received over 8 million views. KQED Newsroom: A 2016 special report that includes “Big Azz” talking about his experience playing a butterfly and Julius Caesar (start at minute 11). For more stories and news coverage about these programs, visit our blog. Scroll down the right side of the page to CATEGORIES and choose Social Justice/Prison Programs. 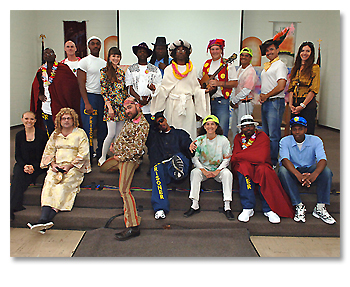 Fabulous photos by Peter Merts of prison arts programs, including ours, at California Prisons. SCENES FROM “MASTER HAROLD AND THE BOYS” by Athol Fugard, Performed at Solano State Prison on June 2, 2018 by Randy Mouton, Julian Padgett, and Joey Pagaduan. CHANGES – The second production of autobiographical stories by the Returned Citizens Theatre Troupe, June 2, 2017. 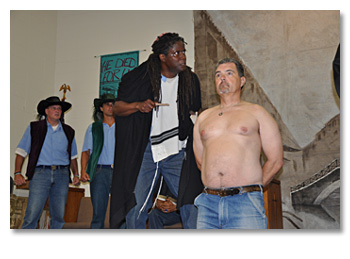 THE TAMING OF THE SHREW – Performed by inmates at Folsom Women’s Facility, May 21, 2017. RICHARD II – Performed by Inmates at San Quentin State Prison, May 19, 2017. 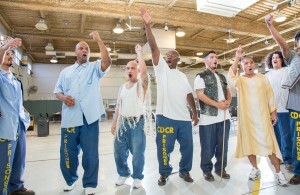 MEASURE FOR MEASURE – Performed by Inmates at San Quentin State Prison, May 12, 2017. A MIDSUMMER NIGHT’S DREAM at Solano Prison, March 19, 2016. Level II. 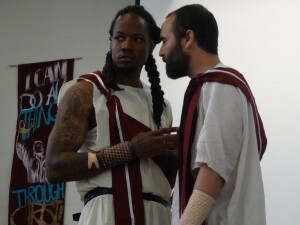 THE TEMPEST at Solano Prison, May 14, 2016. Level III. AS YOU LIKE IT at San Quentin, May 20, 2016. THE TEMPEST at San Quentin, May 27, 2016.